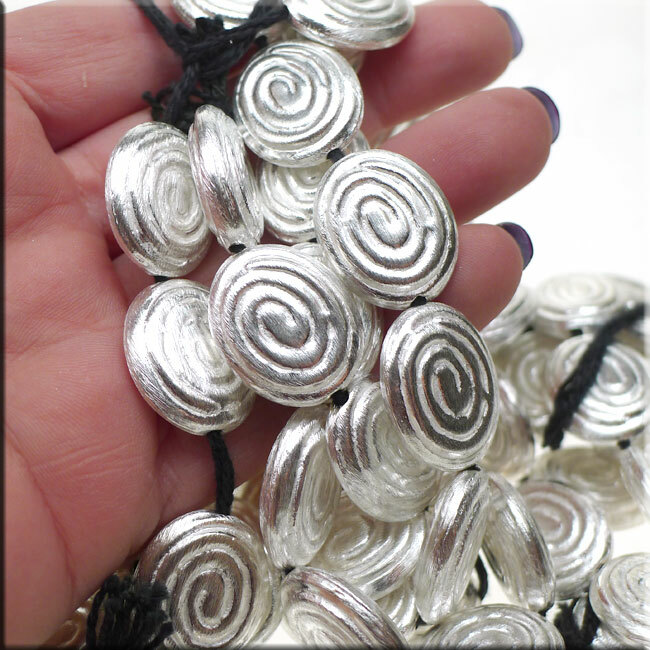 Sterling Silver Plated Copper Fancy Oval Swirl Beads. These Oval with Swirl Pattern Beads measure approximately 22mm long x 18mm wide x 6mm deep and have ~1.5mm holes. As these were hand-crafted in India, slight variations may occur. 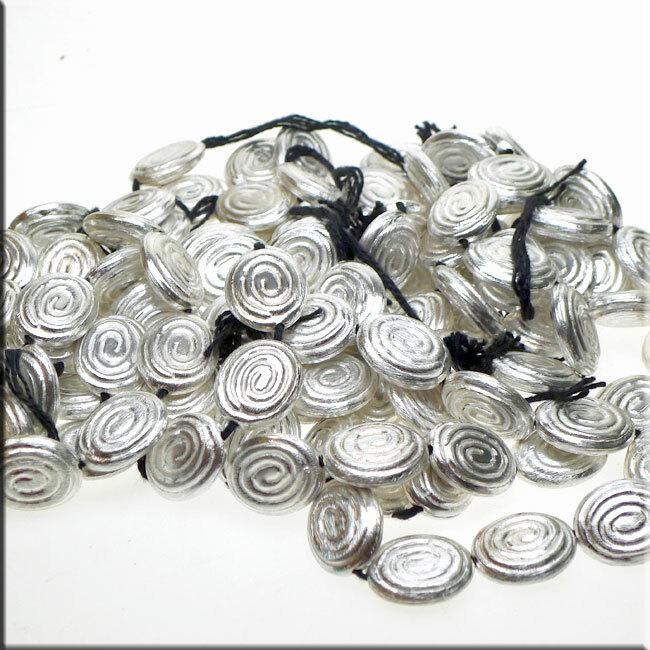 Sold by PIECE, these metal Oval Swirl Beads may also available by Wholesale Bulk Strand (please see listing F2255).